This article was originally written in 2002 by the late Israeli scholar Ehud Sprinzak in collaboration with Ely Karmon. Prof. Sprinzak succumbed to cancer on November 8, 2002 at the age of 62. The book was forthcoming for a long time by RAND Publications under the title “Israeli Citrus and Palestinian Use of Chemical and Biological Weapons” in the book Motives, Means, and Mayhem. Terrorist Acquisition and Use of Unconventional Weapons, edited by John V. Parachini. The book is still awaiting publication. 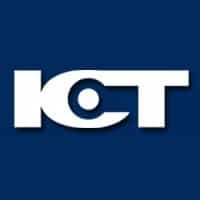 I decided to publish this article on ICT’s website in memory of Prof. Ehud Sprinzak, Founding Dean of the Lauder School of Government at the Interdisciplinary Center (IDC) in Herzliya and member of the Board of Directors of the International Institute for Counter-Terrorism (ICT) at IDC. The article includes an Afterword updating the information available on this subject by June 2007. The recent interest in the possible use by terrorists of weapons of mass destruction (WMD) has led students of terrorism to reexamine in depth past cases of known or alleged WMD terrorism. One of the major focuses of the new research also involves an effort to answer the question of why not? Why have large and resourceful terrorist organizations refrained from using what appears as a very effective weapon of terror? This article looks at the Palestinian terrorist organizations and factions engaged between the 1960s and the 1990s in a fierce struggle against the State of Israel. Looking at all the available information on the small number of cases involving Palestinian use of unconventional weapons, the article tries to explain the outstanding absence of thinking on toxic terrorism in this otherwise very bellicose milieu. The events surrounding the incidents of poisoning of Israeli oranges were indeed reported in the literature on terrorism, but as with other incidents relating to unconventional terrorism, the facts were never investigated in depth and remain unclear to this very day. Is this indeed a case of successful use by Palestinian terrorists of chemical agents against Israel, an early preview of WMD economic terrorism? Were Palestinian terror strategists really involved in this sophisticated operation? How unconventional was this unconventional terrorism? And if so effective, why was it stopped? The sequence of events: On 26 January 1978 Mrs. Maria Berg-Puts bought 3.5 kilos of Jaffa oranges in Maastricht, in the southern Netherlands. The next day she and her four children ate the fruits and felt a bitter taste. Cutting one orange open, the elder son found silver liquid in the flesh of the fruit. After the family doctor sent them to hospital, the authorities moved in, and four of the six remaining oranges were found to have been injected with mercury – one with a large 10-gram dose. All the children involved in the Maastricht incident recovered rapidly without after-effects. On January 27, 1978, a woman found one orange injected with mercury in a shop in Frankfurt, Germany and alerted the authorities. In the same day shoppers in the Dutch city of Heemlen also found oranges injected with mercury. Although they themselves were not affected, the great scare began. The poisoning incidents were not publicized in the European media until January 31, 1978, when Dutch newspapers first broke the story. By that time, the Reuters news agency already knew that an organization calling itself The Arab Revolutionary Army (ARA) had sent letters to 18 European and Middle Eastern governments, including those of Yugoslavia and Romania, threatening to poison Israeli oranges. The Israeli press began reporting the case on February 1, 1978. The publicity given to the first incidents instantly turned the orange poisoning into an affair of grave public anxiety. The European public, the governments concerned, and the Israeli export authorities were greatly alarmed. And due to the centrality of the Jaffa trademark in Europe, Israeli interests seemed to be particularly hard hit. The hysteria over the poisoning quickly produced a new wave of discoveries of injected oranges, including lemons and grapefruits. However, oranges from countries other than Israel were now added to the contamination list. On February 1, 1978, injected oranges from Spain were discovered in Holland and Germany. The snowball effect was now in full swing. On January 31, 1978, an off-duty policeman in Dortmund, West Germany, became sick after eating a mercury-poisoned Israeli orange. The same day, poisoned oranges were found in Aachen and Frankfurt. On February 1, 1978, pea-sized amounts of mercury were discovered in Israeli fruit in Darmstadt. Sweden was added to the list on February 2, 1978. Mercury injected into Israeli oranges sold in Sweden was discovered to have caused skin discoloration. Spanish oranges injected with mercury were now discovered in the same Dutch area where contaminated Israeli produce appeared earlier. A 12-year-old girl was hospitalized in Bremen after eating a poisoned Israeli orange. On February 5, 1978, the first mercury injected oranges reached Belgium and Britain (London). A lemon injected with mercury was found in Heverle the next day. Some cases were now reported in Scandinavia, in the city of Malmo (Sweden) and Copenhagen (Denmark). On February 6, 1978, a woman found a mercury-poisoned Israeli orange in a bag of fruit she had bought in a London store. On February 7, 1978, the Groningen (Dutch) authorities discovered ten contaminated Spanish oranges. On February 13, 1978, Italian health officials banned the sale of grapefruit in Milan and Bergamo after an Israeli-imported grapefruit was found to be poisoned with mercury. Certain observers were surprised about this, because at the beginning of the poisoning hype, the Italian authorities assured their people that Italy did not import Israeli oranges, and was consequently immune to the plague. According to London's the Sunday Times, the entire affair had been blown out of proportion and only 50 oranges contaminated with mercury were found in various cities in Europe. There had, furthermore, been little damage reported. The majority of the infected oranges did not come from Israel, but were exported from Spain, Morocco and Cyprus. Belgium’s minister of health declared on February 6, 1978, that three out of four poisoned oranges discovered in his country came from Spain, and only one from Israel. A February 12, 1978 report by an Israeli daily Yedyiot Aharonot listed a total of 21 oranges injected with mercury in Europe, with only six from Israel. The paper counted one orange from Morocco, one from Egypt, and 13 from Spain. From the middle of February, the number of reported incidents of poisoning decreased significantly: On February 14, 1978, four more cases of contaminated oranges were reported from Hessen, West Germany. Only one of these was reported to have been injected with mercury. In North Rheinland, three cases were discovered. On March 4, 1978, a woman peeling an Israeli orange in Haddington, Scotland, spotted mercury globules. On March 6, two oranges with mercury were found in Sassari, on the island of Sardinia (Italy). By now it became evident that a significant number of alleged poisoning cases involved hoaxes, some initiated by minors. On January 10, 1978, a 14 year-old English boy was arrested for injecting oranges with thermometer’s mercury. A 10-year old boy provoked similar panic in another neighborhood. Swiss authorities reported that an insane person left a poisoned orange in a shop. The European authorities gradually established that the number of hoaxes outnumbered the number of genuine poisoning cases. Other cases tested suggested false reporting due to panic and fear. Some experts remembered that three years earlier, a similar case of false alarm over poisoned Israeli grapefruits, took place in Italy. Gradually, it became evident that a kind of a “psycho-somatic” disease drove an unusual number of people into hospitals, complaining about orange poisoning. Medical tests showed, however, no signs of mercury or any other substance in their stomachs. The Modus-operandi. The letter associating the poisoning scare with Palestinian terrorism was sent by an anonymous organization that called itself the Arab Revolutionary Army. Received by several European health ministries, the letter stated that “the oppressed Palestinian workers in the occupied territories have been poisoning the oranges in a widespread campaign” and that all the countries importing Israeli oranges were expected to be flooded with thousands of poisoned oranges. The Israeli authorities discarded this claim at once. Their analysis suggested that the oranges were poisoned either at the Dutch port of Rotterdam or at the Belgian port of Antwerp. From there, poisoned oranges were sent to supermarkets all over northern Europe. According to officials of the Israel Citrus Marketing Board (ICMB) the contaminated oranges found in the Netherlands, arrived in the port of Antwerp on January 18, 1978. Only two contaminated boxes were found, and the mercury used had been injected with a syringe that left clear and visible holes on the fruit’s skin. The injection, according to the ICMB analysis, could only have been done in Europe. The representative of the ICMB in Europe at that period, D.P., confirmed to the authors that there was no possibility to make injections in the fruit without producing their rapid putrefaction and therefore the oranges were for sure poisoned in Europe. West European police investigators supported the Israeli conclusion. They also concluded that the oranges were contaminated in the seaports of Rotterdam and Antwerp, and believed that the sabotage was executed during the transfer from the harbor or in the warehouses. Another conclusion was reached soon, that many of the reported cases involved local injection of mercury in either the shops themselves or in nearby warehouses. British expert, Dr. Paul Wix, who trained police forensic scientists, assessed that contaminated oranges found at London’s Marks and Spencer were injected approximately six days before the contamination was discovered. As the fruit takes three weeks to travel from Israel by boat, he believed that the oranges could not have possibly been contaminated in Israel, and that if they were to be injected in the store, mercury would have spurt all over the floor. Warehouse contamination was the only alternative. In search of the perpetrators. Several European capitals, including London, received letters from the ARA threatening to poison Israeli agricultural products. The letter sent to Reuters stated that “oppressed Palestinian workers” in the occupied territories were responsible for the act. Most of the letters were sent from the city of Stuttgart in Germany and received between January 27 and mid-February. Phone threats within Germany and from Germany to other countries were also made. Some newspapers in Holland and Belgium claimed that the Popular Front for the Liberation of Palestine—General Command, an organization headed by pro-Syrian terrorist Ahmed Jibril, took responsibility for the poisonings. No substantial evidence to support this claim had been presented, however. Paul Wilkinson, a leading British terrorism authority, took the ARA seriously. While British police found no trace of the organization, Wilkinson believed that Jibril was involved. The Washington Post reported that the Arab Revolutionary Army first became known in October 1977 when it claimed responsibility for the killing of a United Arab Emirates government minister at Abu Dhabi airport. It was mentioned at the time that the real target was the Syrian foreign minister, Abdel Halim Khaddam, who escaped unhurt. The adamant Palestinian denials, the failure of the European authorities to identify the ARA and arrest any of the perpetrators, the inability of Israel’s intelligence agencies to also identify the individuals or group associated with the orange poisoning, and the growing conviction that most of the discovered cases were hoaxes or expression of panic, seem to support two conclusions: a) no known Palestinian organization was involved ; b) the ARA was a fake name made up by a few radical German supporters of the Palestinian struggle, who were involved in the early triggering of the orange poisoning. There is little evidence of additional involvement after the scare wave created its own momentum. These conclusions are obviously circumstantial. They are reached on the basis of the absence of any clue to the identity of the perpetrators, on the basis of the modus operandi of the Palestinian and European terrorist organizations at the time of the events, and on a textual analysis of the ARA slogans. Neither the German authorities, who clearly were most involved in the case (because of the many cases of poisoning and the origin of the letter from Germany), nor the Israelis had ever identified the perpetrators. Because of the discovery of the numerous hoaxes involved, the spread of the alleged poisoning to non-Israeli oranges as well as the failure of the attack to claim any real victim, the event was quickly forgotten and did not keep a significant place in the history of Palestinian terrorism. Both the Israelis and Germans had other serious terrorism problems, and their interest in the case had apparently come to an end. Interviews conducted by the authors of this article, as well as efforts to trace the relevant archives have yielded little information. So who was responsible for the few credible injections of Israeli oranges? Who wrote the ARA letters? Because the threat letters were sent from Stuttgart, and due to the fact that most of the early cases took place in Germany and neighboring Holland, it appears likely that German radical elements, close to Palestinian terrorist organizations, planned and executed this operation with or without consulting their Arab comrades. They probably saw it as an act of solidarity with the Palestinians in a very difficult time. Egypt's President Anwar Sadat had recently returned from a historical peace visit in Jerusalem, and the likelihood of an independent Palestine appeared as uncertain as ever. There existed, in addition, a long tradition of German-Palestinian cooperation, and many German radical activists felt no remorse about direct involvement in Palestinian terrorism. The Marxist-Leninist PFLP was a special favorite of the German extreme left. Activists or supporters of the German Revolutionary Cells (Revolutionare Zellen - RZ), a small radical underground organization, appear as good candidates for the execution of the scare campaign. In the middle of the 1970s, they were extremely close to the radical Palestinian movements. On July 20, 1978, their members put a bomb in the Frankfurt office of the Israeli company Agrexco, as an expression of solidarity with the Palestinian people. There were no casualties and only material damage to the building. Members of the RZ had been known for their opposition to killing people, at least when operating on German soil. The poisoning campaign, let us recall, did not put the life of anybody in lethal danger. How “unconventional” was the orange poisoning? It is evident that the substance injected to the Israeli oranges was not lethal. According to the Poison Control Center in New York, whose specialists had studied 18 incidents of people who swallowed solid mercury, none suffered ill effects. Whereas the orange discovered in London’s Marks and Spencer shop contained 0.1 grams of mercury, a two-year-old child in New York ate 200 grams without falling ill. A man, who tried to commit suicide by injecting two grams of mercury into his vein, fell ill but survived. The French Center for the Fight against Poisons also stated that the mercury found in the poisoned oranges in Holland and Germany was not dangerous. It determined that an individual could swallow his thermometer’s mercury without hurting himself. According to Dr. Hertz, the director of the Center for the Study of Poisonings at the Rambam Hospital in Haifa, mercury in small quantities as found in the oranges is not at all poisonous. Only mercury salts are considered strong poisonous substances. There is, in conclusion, no question that the orange poisoning, as small as it was, sought to elicit fears of unconventional weapons. It certainly accomplished that goal. What appears amazing, however, is how conventional and non-lethal was the substance chosen. If we add to that the short duration and the low intensity of the actual contamination campaign, it is clear that the 1978 orange poisoning was a far cry from present-day images of WMD terrorism. In the middle of April 1988, ten years after the poisoning scare in northern Europe, rumors about the poisoning of Israeli Jaffa grapefruits started to spread in Italy. It all begun with an anonymous telephone call informing the Italian Ministry of Finance that grapefruits imported from Israel might have been poisoned. Following the passage of that information to the Ministry of Health, Italian border checkpoints were put on alert. Imported Jaffa grapefruits had to be checked and samples were taken for a thorough analysis. Grapefruit sales were not stopped, however. The key incident, which finally led to the suspension of all sales, took place in Rome on April 19, 1988. Anonymous phone calls to the leading Roman dailies as well as the authorities named a popular supermarket where poisonous grapefruits had been left. Rome’ Sanitary Guard (USL) was immediately dispatched to the place to take samples of the allegedly poisoned fruits. On April 22, 1988, a few additional calls to the Ministry of Health produced a poisoning scare of larger magnitude. The police, the USL, and the Carbinieri were ordered to facilitate the testing of larger samples of Israeli grapefruits from ports, storage places, shops and supermarkets. Six Jaffa grapefruits stained with a blue substance attracted most of the attention. Sales were not officially stopped yet, but large quantities of Israeli oranges could not be marketed. Instead of concealing the uncertain information from the media, the Lazio Health Bureau, responsible for testing the alleged contamination, was highly cooperative. Reporters and press agencies were briefed about the suspected poisoning, and Italy’s television, radio, and newspapers were full of sensational reports. On April 26, 1988, and without waiting for final test results, Lazio’s Regional Health Office announced in a crowded press conference that toxin was indeed discovered and that all Jaffa grapefruits had to be taken away from the shelves. The damaging announcement came following the death of guinea pigs tested with the contaminated substance. Dr. Ziantoni, head of the Lazio Health Office, made it unequivocally clear that the fruit was poisoned. Aware of the great damage to Israeli export and skeptical of the Italian claims, Israel’s Ministry of Agriculture decided to send to Rome a high-ranking specialist. Dr. Israel Adato, a scientist with Israel’s Agriculture Ministry, arrived in Rome and went directly to see Ziantoni and his six analysts. The Israeli scientist had a reason to believe that because of the texture of the citrus fruit, the kind of poisoning described in the Italian press was impossible. He was right. Additional tests established that no poison was administered, that the material sprayed was a non-lethal methylene blue, and that the laboratory mice died from the impact of the injections on their stomachs, not from the poison. A short investigation of the Italian authorities resolved beyond doubt that Israeli grapefruits were not poisoned and that the whole scare was caused by a hoax. On April 27, 1988, all of Italy’s political groups raised in Parliament questions on what was termed “the very serious story of poisoning of grapefruit in various Italian towns.” The Minister of Health, Mr. Donat Cattin, answered detailing all the initiatives taken by his Ministry, and blaming Dr. Ziantoni’s warnings for stopping the sale of grapefruit all over Italy. Cattin maintained, however, that Italy’s High Health Institute would repeat the analysis of the substance found in Rome, to make sure that there was indeed no toxin. The Health Minister also reported that a left-wing Italian organization, the Organization of Metropolitan Proletariat and Oppressed People (Organizzatione dei Proletari Metropolitani e dei Populi Oppressi) was responsible for the fake operation. Although individual Palestinians residing in Italy may have been involved in the sabotage, no known Palestinian organization in Italy or anywhere else was ever implicated in it. One way of campaigning against the Jewish State involved attacking the most recognized Israeli symbol in Italy; Jaffa oranges. As of January 1988, there were demands to call off the sale of Jaffas. A large chain of Italian cooperatives, CO-OP Italia, with many shops in Northern and Central Italy, informed the Verona office of the Israeli Citrus Marketing Board that it was under pressure to stop selling Israeli fruits. Known for its left-wing inclination, the cooperative chain was approached by the local branch of the Proletarian Democracy in Piacenza. Coop officials were reminded of the plight of the Palestinians in the occupied territories, and asked to help by boycotting Israeli products. When the chain withstood the pressure and continued to sell Jaffa oranges, other incidents ensued, including systematic intimidation by groups of youngsters. Young left-wing activists would enter shops and supermarkets, spray Jaffas with red paint and distribute leaflets calling on customers to boycott Israeli products. Israel was compared to South Africa, with its Apartheid regime, and customers were called upon to punish both “racist” societies. Following the increased pressure of the activists of the Proletarian Democracy, the internal committee of Coop Italia demanded that the Management of the chain remove all Jaffa oranges from the stores. In March, a special meeting was convened in Bologna to decide on the issue. However, the demand to remove the grapefruits was defeated again, this time by the argument that Israeli workers who would lose their jobs, not the Israeli government, would pay the price of the boycott. It was only then, when all other pressures failed to hurt Israeli oranges that the decision was made to sabotage the sales through spraying methylene blue on a few grapefruits and spreading a rumor about poisoning. Many of the leftist groups that propagated against Israel continued the attack with full force. The anti-Israel press made things worse, with reports from the Intifada, and hostile editorials. On May 23, 1988, two time bombs were placed near the Verona packing store of the Israeli fruits. There were serious fire damages. There could be, thus, no doubt that although unconventional terrorism was not used in this case at all, the fears its alleged presence elicited were quite significant and costly. The only confirmed case of serious talk about and concrete preparation for poisoning Israeli products took place in January 1979. The case involved a Gaza Strip terrorist cell belonging to the Popular Front for the Liberation of Palestine. The group was made up of nine members who organized attacks on Israeli targets, interests and products. The cell’s commander was 26-year-old Said Hamad Abu Sita, a resident of Rafah, who was previously employed in Israel as a daily worker. The group was geared toward conventional terrorism, and under the instruction of Abu Sita dug a secret bunker to hide him as well as their weapons and explosives. The first information on the group’s intention to poison Israeli oranges reached the authorities in early January. According to an informer close to the ringleader, Abu Sita instructed a few Palestinians working at the Tel Aviv fruit retail market to inject poison to two to three units in every box of oranges. The idea, according to the informer, was to elicit public panic and acute fear. Abu Sita told the informer that the Tel Aviv market was a central distribution venue to the entire country, and that he expected the contaminated oranges to pop up all over Israel. He also talked about future plans to poison Israeli vegetables and water sources. The killing of Abu Sita and the discovery of the letter led to the arrest of all the eight remaining members of the cell. Their investigation revealed their past and future planned operations. One member of the cell, Mahamud Halabi, admitted that he knew of Abu Sita’s plans to poison Israeli fruits, vegetables, and water. Halabi personally obtained for his commander mercury and injectors in a Gaza pharmacy. According to his testimony, he watched him warming the mercury and pumping it to an injector. It is of interest that on January 23, 1979, several European capitals received letters from the ARA (believed to be the Arab Revolutionary Army) threatening to poison Israeli agricultural products destined for all European Community (EEC) countries. The letters resembled the letters received in the UK a year previously, followed by the contamination of several Israeli oranges with mercury. The letter to the Dutch government, which was shown to journalists, claimed that the contamination would be on a greater scale and would use more lethal substances. In spite of the similarity with the beginning of the 1978 incidents and the use of the ARA name, nothing happened in any of the threatened countries. The fact that the Abu Sita cell used mercury to poison oranges and at the same period there was a threat to poison oranges in Europe by the same method, could perhaps imply that his organization, the PFLP, either was somehow involved in the 1978 incidents in Germany and Holland or that they have learned something from those events and tried to copy them. The vast majority of the thousands of Palestinian terrorist acts since the 1960s involved the use or the credible threat of use of conventional weapons. Only rarely had the screens of Israel’s security services monitored threats of use of unconventional weapons. The following is a list of rumors, confirmed and unconfirmed reports about a possible use of poisons against Israeli targets brought to the attention of the Israeli authorities by various informers in the course of the 1980s. The recorded threats had never been checked, nor ever acted upon. 1) September 12, 1985. Information on a discussion about poisoning the food of cabinet minister Ariel Sharon. PFLP-GC (Ahmad Jibril’s organization) sympathizer working in a Tel Aviv restaurant, expressed willingness to poison Sharon’s food if provided with the right toxin. 2) October 4, 1985. An anonymous letter informs Israeli security officer in New York City of an Arab plan to poison the food of Israelis in two NY restaurants, in Manhattan and Queens. 3) January 28, 1986. A security officer at Ben Gurion Airport is told by an informer of a plan to smuggle to Israel poisonous pills. The potential smuggler is a Palestinian criminal involved in illegal drug trafficking, who also wishes to make a contribution to the national struggle. The pills are to be dissolved in water in hospitals and public places, with the purpose of creating a large-scale panic. 5) September 14, 1986. A terrorist cell is discovered in Beit Furik, in the Gaza Strip. They plan several conventional terrorist attacks, but also talk about using chemical substances for poisoning purposes. 6) October 17, 1986. A member of Force 17 (one of Fatah’s terrorist units) is reported to have expressed an interest in poisoning ponds of fish nurseries near Haifa. It is unclear whether the fishponds are the target or the Israeli buyers expected to eat the poisoned fish. 7) June 25, 1987. The Abu Musa split faction of Fatah intends to poison the food in an Israeli restaurant. 8) July 28, 1987. Reliable information refers to a possible use of cyanide against the drinking water of Jewish settlements in the West Bank. The report details the idea of making a whole in a water pipe and injecting the poison. 9) August 21, 1987. Warning of a plan to poison the water reservoirs of several West Bank Jewish settlements by Fatah – Revolutionary Command (the Abu Nidal) organization, which allegedly had successfully developed a liquid poison that cannot be detected in routine tests. 10) October 25, 1987. A Palestinian working in a Tel Aviv restaurant serving the city’s Engineering School expresses an interest in poisoning the food. 11) December 4, 1987. Information about a group of Palestinian youngsters discussing the possibility of poisoning the drinking water of Elon Moreh, an Israeli settlement in the Nablus area. The idea is to make a hole in the settlement’s water pipe and inject unspecified toxin. It has already been shown above that the Palestinian record of using unconventional terrorism is very poor. Why is it so? What is the attitude of Palestinian terrorists to the use of weapons of mass destruction? In a recent series of twenty-five in-depth interviews about terrorist decision-making conducted in Israeli jails and in territories currently belonging to the Palestinian Authority, a question on the use of unconventional terrorism has been added. Here are some of the answers. What most of the interviews make clear is that the reason the use of weapons of mass destruction is dismissed has nothing to do with morality or hesitation to kill a large number of civilians. Had they been ordered to use it, they would have willingly done so without any moral qualms. The interviews with these rank and file Palestinian terrorists confirm what we know from other sources (i.e., that the option of using weapons of mass destruction was never discussed in the operational levels of Palestinian terrorism). Most of the interviewees heard of this terror option for the first time during the interview. Almost all of them addressed the question as a science fiction issue. a) There is no evidence of any past strategic interest in the use of unconventional terrorism among the PLO’s top leadership. In the PLO top leadership, we include the historical heads and decision-makers of the major Palestinian organizations such as Yassir Arafat, Abu Jihad, Abu-Iyad, George Habash, Wadi Haddad, Naif Hawatme, Ahmed Jibril, the outsider Abu Nidal, and colleagues and officers directly under their command. By strategic interest, we mean intentions or plans to devastate the enemy, win a major battle, or change the balance of power through the use of unconventional means (chemical, biological, nuclear, radiological). None of the cases presented above involved any strategic thinking. b) There is no evidence of any past tactical WMD interest among the PLO’s top leadership. By tactical interests, we mean an intention to inflict on the enemy a heavy though temporary blow with relatively short-range consequences. This judgment is based on the absence of any evidence of top echelon involvement in the cases discussed above. We have reason to believe that an involvement of top PLO decision-makers in any of these cases would have either left traces of evidence or led to more significant consequences. The amateurish and sloppy nature of the rumors and minor cases presented in this paper cast serious doubt on any potential involvement of the leaders of the PLO. However, it is probable that the leaders of the organizations new post-factum about the failed attempts. c) The 1978 orange poisoning in Europe, the 1979 effort by the local PFLP Gaza group to contaminate Israeli oranges in Tel Aviv, the 1988 effort by pro-Palestinian groups in Italy to instill fear of grapefruit poisoning, and the occasional rumors in the 1980s regarding poisoning Jewish targets in Israel proper and in the occupied territories, suggest some Palestinian awareness of the psychological impact of toxic terror. It is, however, almost totally clear that the interest in these operations was local, rudimentary, and extremely superficial. It is, in fact, amazing, how little and inefficient the Palestinian WMD effort to devastate Israeli economy ever was. This total failure suggests that a WMD campaign against Israel had never been launched and that most of what happened represents a combination of angry wishful thinking and local desperation. It should be stressed, however, that a number of radical Palestinian terrorist organizations had no moral constraints to engage in mass casualty terrorism against Israel: they have perpetrated or tried to perpetrate in the 1970s and 1980s many attacks with sophisticated barometer or time bombs against air planes, mainly of Israeli and Western countries: Swissair, Austrian Airlines, TWA, Pan Am (in Honolulu, and not at Lockerbie) which took the life of more than a hundred innocent civilians could have had many more casualties. Fortunately, many attacks were foiled by the security services or by sheer luck and thus saved many other lives. But why had the Palestinian leaders, caught since the early 1960s in a deadly struggle with Israel, shown so little interest in the use of weapons of mass destruction? Why is it that they apparently had been so ice cold to both the strategic and tactical advantages of chemical and biological weapons? It is our conclusion that the most important reason stems from the absence of any real Palestinian need to use unconventional weapons against Israel. Since the 1965 resumption of anti-Israel Palestinian terrorism, the function of these operations was never to defeat or destroy the Jewish State. Not a single Palestinian strategist ever believed that a total Palestinian victory over the Israelis was possible in the foreseeable future. Moreover, none of them was eager to provoke a massive Israeli retaliation against the Palestinians living under Israeli occupation. The major objectives of Palestinian terrorism had been: to get other Arab nations fight Israel for them, put the Palestinian case on the world’s agenda, obtain legitimacy inside the Arab world and within the community of nations, reinforce the Palestinians’ national identity and convince them that through armed struggle they had a collective hope, and force the Israelis at least to share the land with them if not to throw them away. These objectives had been obtained by a limited armed struggle. They furthermore called for the forging and framing of a positive image of Palestinian freedom fighters. The very use of terror was by itself occasionally damaging to the Palestinian cause, and the use of “dirty” and “illegitimate” weapons could harm even more their strategic international goals and bring about a devastating Israeli reaction. The case was explained to Rand terrorism specialist, Bruce Hoffman, in very simple terms. Moreover, since their 1965 military rise, PLO and other Palestinian organizations had never suffered from a shortage of conventional weapons. Soon after 1967, they became the darlings of both the Arab world and the communist block, with plenty of military supplies at hand. In addition, they benefited in the 1970s from the oil-related economic boom in the Arab world. The deepening vacuum in Lebanon, increased dramatically since the mid-1970s, enabled them to form in that ravaged country a mini-state with plenty of resources and military arsenals. Consequently, there never existed a real Palestinian need to substitute unconventional for conventional weapons. It is not surprising that the only place where Palestinian fighters had occasionally fanaticized about using chemical weapons were the occupied territories. For it was under heavy Israeli pressure that Palestinian terrorists found themselves occasionally helpless, weaponless, and bitterly vengeful. The fact, however, that none of the plans for a tactical use of poisons and chemicals ever reached operational level teaches us that even in the occupied territories there was no shortage of conventional weapons. This also explains the WMD ignorance of the interviewed terrorists. Neither the Palestinian leaders nor their field activists had ever felt the need to turn to unconventional weapons. More recently, the radical Islamist Palestinian organizations, Hamas and Palestinian Islamic Jihad (PIJ) have used in the 1990s, quite successfully it should be remarked, the suicide bombing attacks as their main strategic weapon against Israel, achieving even the temporary interruption of the peace process between Israel and the Palestinian Authority. It seems that these extremist organizations were also aware of the operational difficulties and the political and existential dangers of the use of unconventional weapons. The experience (or its lack thereof) of the Palestinian terrorist organizations with unconventional terrorism is instructive. It shows that terrorist organizations in need of public sympathy and legitimacy (most terrorist organizations are!) are highly unlikely to use weapons of mass destruction. We should add to this rationale the obvious fear of justifiable massive retaliation to this “dirty” terrorism, which would fatally and physically endanger the very constituency they pretend to represent. There is also the important element of the enormous difficulties in the production, control and mainly the operational dissemination of the chemical, biological or nuclear materials. The conclusion of the 2002 article by Prof. Sprinzak and myself was that terrorist organizations in need of public sympathy and legitimacy are highly unlikely to use weapons of mass destruction. The fear of massive retaliation against the very constituency they pretend to represent also excluded, at least theoretically, the probability of the use of chemical, biological or radiological weapons or agents by Palestinian groups against Israeli targets. There is also the important element of the enormous difficulties in the production, control and mainly the operational dissemination of the chemical, biological or nuclear materials. This conclusion was valid for the period covered in the original article. In June 1999, an Israeli daily claimed that Muhammad Abu-Tayr, a Hamas military commander being held in Jerusalem, revealed a plan to poison Israeli water sources. Ibrahim Ghawshah, the Hamas spokesman, immediately denied any such plan by the movement and claimed that Israeli allegations in this connection are aimed at associating Hamas with terrorism, as it has always done in the past. It appears that things changed since two major events: the opening of the violent al-Aqsa intifada by the Palestinians in September 2000 as a result of the failure of the Camp David negotiations, and the al-Qaeda terrorist attacks against the United States on September 11, 2001. “Due to the seriously uneven balance of power in the Israeli-Palestinian conflict, and in light of the escalation of the racist aggression, which elevates to the level of a war declaration, by the Sharon government... the Palestinian side is required to use weapons of deterrence that will even the balance of power, at least on the field. “A few bombs or death-carrying devices will be enough, once they are deployed in secluded areas and directed at the Israeli water resources or the Israeli beaches, let alone the markets and the residential centers. [This will be carried out] without explosions, noise, blood, or pictures that are used to serve the Israeli propaganda. The Al-Manar article seemed an attempt by Palestinian Authority elements to threaten and deter Israel in view of the clear strategic inferiority of the Palestinian side, the growing number of terrorist militants arrested or killed by the Israeli security forces, and the relative success in preventing or minimizing the effects of the last suicide attacks. The author of the article, Taufiq Abu-Khosa, is a senior journalist close to the PA authorities. It seems that the radical Islamist Hamas movement decided to put in practice the threat. In 2001, Israel's Health Ministry revealed that nails and bolts packed into explosives detonated by a Hamas suicide bomber on December 1, 2001 in a Jerusalem pedestrian mall had been dipped into rat poison. Israeli police spokesman Gil Kleiman said for his part that since 1994 traces of various toxic chemicals have been found in at least five Palestinian bombing attacks. However, he said that it was unclear if they had been deliberately introduced to enhance the bombs' deadliness or if the explosives used were transported in containers that had previously contained other substances. Kleiman said police and others who work at bomb scenes have been issued protective overalls, but that the chemical threat was really a minor one: “It's the bombs that do the damage, not any poisons that may be in them,” he said. The Health Ministry stated that so far the blasts have destroyed the poisons' potency and no bomb victims had been harmed by the chemicals. Security sources stated that Palestinian groups have not been able to build bombs with more toxic chemicals - like nerve or mustard gas. It is significant that for the first time a Palestinian organization took responsibility for what can be considered the first “official” attempt to use a chemical terrorist attack against Israeli targets. Izz-al-Din al-Qassam, the “military wing” of Hamas, claimed it had dealt a blow to Israeli morale by planting poisonous chemicals on the bombs its activists have detonated of late. On its website it stated its militants had a new weapon that had created “a situation of fear in the Zionist security services.” The Hamas cited Israeli media reports of public consternation at the prospect of Palestinian chemical warfare. It did not say what chemicals it might have. Hamas continued the trend of using or trying to use low-level chemical attacks until the peak of the intifada. During 2002, members of Hamas's military wing were gathering information with the goal of carrying out attacks using biological and chemical weapons. In one case, the orders for this effort came from a close associate of Salah Shehadeh, the Hamas leader whom Israel assassinated in July 2002. The accused, 32-year-old Walid al-Ara from Gaza, a university student majoring in computers and the owner of a computer store in Gaza, was approached by Shehadeh's aide, Zahar Nasser. Nasser and asked to help the organization gather information that would help it carry out an attack with biological weapons. Ara told Nasser that he would research the subject via the Internet, but warned him that such an attack would not only be difficult to carry out, but could also provoke a harsh response. However, Nasser was killed before Ara managed to get the information to him. According to security sources, during 2002 more and more arrested Palestinians, mainly from Hamas, admitted that their organization was interested in the idea of using non-conventional weapons and had begun to prepare for this possibility. Several plans to use biological weaponry have come to light, including a Hamas plan to poison the food in a Jerusalem restaurant; an Islamic Jihad plan to poison the water supply of a Jerusalem hospital; and a plan by Nabil Okhel, an Al-Qaida operative, to poison the entire country's water supply. It is possible that the interest in non-conventional weaponry soared after the September 11, 2001 terror attacks in the United States, because terrorist groups saw these bombings as having “broken a taboo” against mass-casualty terror attacks. According to the same report, Palestinian officials said that using biological or chemical weapons as part of the uprising would be tantamount to national suicide, provoking devastating retaliation from Israel. The last hint for the possible use of chemical or biological terrorism by Palestinian groups was given in June 2006, when the al-Aqsa Martyrs' Brigades (the terrorist wing of Palestinian Authority Chairman Mahmoud Abbas’ Fatah faction) said it would surprise Israel with new kinds of weapons if Israel invaded the Gaza Strip. “With the help of Allah, we are pleased to say that we succeeded in developing over 20 different types of biological and chemical weapons...after a three-year effort”, the group said in a leaflet distributed in Gaza. According to this author’s evaluation at the time, the statements were mere “wishful thinking,” or a kind of psychological warfare. However, if the capability of the Palestinians to produce and effectively use chemical or biological agents has not improved much since the second intifada, it is alarming that the motivation and the readiness to openly threaten attacks with such weapons have significantly increased. Ministry of Health of Great Britain, France, Italy, Belgium, Luxembourg, Holland, West Germany, Austria, Denmark, Norway, Sweden, Finland, Yugoslavia, Romania, Kuwait, Jordan, Iraq, Saudi Arabia. Since the beginning of the present export season for oranges, we, the oppressed Palestinian workers in the occupied territories, have been poisoning the oranges in a widespread campaign. - poisoning of thousands of oranges during export preparation. In order to assure your reception of this communication, we have passed it to our comrades in Europe. If you ignore this warning you must be prepared to accept the consequences for your civilian population. Our aim is not to indiscriminately kill your population, but to sabotage the Israeli economy, which is built up on oppression, racial discrimination and colonial occupation. - The occupation of large parts of Palestine in 1948 by the Zionists through the help of world imperialism, above all the British imperialism and the foundation of the Israeli state. - The expulsion of more than 750,000 Palestinians from their home – now more than 2,500,00 refugees. - The occupation of the remaining parts of Palestine in 1967 with the help of world imperialism. - The non-observance of the national Palestinian right of self-determination. - The gradual increase of reactionary imperialist operations in the Middle East. - The classic fedayin period has come to an end. We have been patient for long enough and consider all means towards achieving our objective to be legitimate. - We will continue to liquidate all foreign, Arab and Palestinian traitors who ignore the absolute national right of our Arab nation to live in dignity through acceptance of peace with the Zionist regime or collaboration with imperialist powers. - No more compromises will be made. Those who support the cause of justice must make this clear by ceasing political, economical and military support of the Zionist regime. Those who fail to do so must pay the reckoning. N.B. We hereby make the following declaration for the Arab countries that import oranges from the occupied territories. Israeli oranges have been smuggled into the contingents from Gaza Strip and West Bank, so that their population must also be warned of the danger of poisoning. VICTORY TO THE ARAB STRUGGLE FOR TOTAL UNITY AGAINST REACTION AND TREACHERY! FOR A UNITED SOCIALIST ARAB STATE ON THE RUINS OF ZIONISM! All people really sensitive to the values of freedom and democracy are taking initiative both against the racist regime in South Africa and against the Israeli government, who instead of solving politically the Palestinian problem is repressing with violence the legitimate rights of the Palestinians to have a homeland and freedom, just as the Israelis are entitled to. Among our other initiatives, we wish now to add to the boycott of the South African Products also a boycott of Israeli products starting from the famous Jaffa grapefruits. We shall take action towards this effect to call to the attention of the consumers, and we ask you to give up purchasing and selling these products in order not to support economically governments that apply violence, till the moment when one can also live in peace and freedom in Palestine and in South Africa. We have trust in your understanding and in your sense of social responsibility that should come always and anywhere before economic interests. This is particularly valid for the cooperatives that are inspired by the very principles of solidarity. For every man with or without knowing it, with or without wishing it, is responsible for whatever happens to other men. 1977 - A report that an anti-Amin group in Uganda had threatened to poison that country's coffee and tea crops, in order to deny it foreign exchange. Observers doubted the credibility of the threat. 1982 - In the Philippines, Huk terrorists tried to poison Dole pineapples destined for export The plot, however, was discovered and the contaminated pineapples were destroyed before they could harm anyone. The whole incident was then hushed up before it affected sales. December 1984 - Four people in England were charged with injecting a weed killer containing mercury into a turkey at a Grimsby store. Earlier, an anonymous caller purporting to represent the ALF had claimed responsibility. Similar threats were received at stores in London, Northampton, Coventry, and Bristol (in the latter case claiming the use of rat poison). April 20, 1985 - In Denmark protestors, claiming to support the African National Congress (ANC) said that they had injected poison into South African fruit in three Copenhagen stores. The threat appeared to be a hoax. 1986 - Threats by Tamil separatists to poison the tea crop in Sri Lanka. They did not, insofar as we know, carry out the threat. 2 July 1986 - a group in Canada identifying itself as the Azanian Peoples Liberation Front (APLF) threatened to inject imported South African fruit with an unidentified toxic chemical, in an attempt to prevent such imports. Reportedly, "subsequent testing failed to locate any fruit that had been contaminated," but in the meantime South African oranges and peaches had been withdrawn from some stores in Toronto and Montreal. September 1986 – A claim by the French terrorist group “Direct Action” that two bottles of South African wine, in Vancouver or Victoria, had been poisoned. Reportedly, all South African wines were removed from the shelves and tested, but no evidence of contamination was found. 1988 - Claims by the ALF (UK), which remained unconfirmed, that eggs had been injected with mercury; various threats by anti-apartheid groups in Europe and North America to poison South African products. On March 2, 1989 an anonymous threat was telephoned to the US Embassy in Santiago, Chile. A Spanish-speaking male warned that some fruits would be poisoned. He did not name grapes, but said that he wanted to draw attention to the economically deteriorated situation in Chile. The US Food and Drug Administration warned against eating grapes after traces of cyanide were found in two seedless Campo Lindo red grapes shipped from Chile to Philadelphia. The discolored grapes had small puncture hold and a ring of crystalline-appearing material around the holes. A third had been slashed, but had no cyanide. The FDA said that the tiny amount of cyanide (3 millionths of a gram per grape) probably would not even have been enough to make a child sick. It was less than a thousandth of the amount, which would normally cause sickness. September 1994 - The Sri Lanka the Tea Board announced that threats to poison the island's tea exports had been proven a hoax. A Tamil group called the “Ellalan Force” had claimed in faxes to news agencies, foreign embassies, and associations that it had mixed arsenic in tea bags destined for export. Subsequently, the United States, Germany, and Italy were reported to be checking their tea imports from Sri Lanka. However, while calling for precautionary measures and tightened security, the Tea Board had been unable to find any traces of arsenic in 200 random samples tested over a period of two weeks. We prefer to use the more usual term unconventional terrorism concerning terrorist incidents and attacks involving the use of chemical, biological, and radiological agents, instead of the most common weapons of mass destruction terrorism. It seems to us that the incidents and attacks researched in the framework of the present project amply justify this caution, as none of them really achieved the magnitude of WMD terrorism. The article was to be published in the book Toxic Terror: Assessing Terrorist Use of Chemical and Biological Weapons, Vol. II. by the Monterrey Institute of International Studies. The first volume, edited by Jonathan Tucker, was published in March 2000 by the Belfer Center for Science and International Affairs in collaboration with the Center for Nonproliferation Studies, Monterey Institute of International Studies, at MIT Press. Jerrold Post & Ehud Sprinzak, “Why Haven't Terrorists Used Weapons of Mass Destruction7”, Armed Forces Journal, April 1998. David C. Rapoport, “ Terrorism and Weapons of the Apocalypse,” National Security Studies Quarterly, Summer 1999, Vol. V. Issue 3, p.55. It should be noted that the Palestinian Liberation Organization (PLO), is in fact an umbrella organization of a number of groups and movements and as such it did not engage in terrorism. However, every one of its member groups, including Fatah, its backbone organization, perpetrated acts of international terrorism for its own account. Ron Purver, Chemical And Biological Terrorism: The Threat According To The Open Literature, (Canadian Security Intelligence Service documents, June 1995, p.66, http://www.csis-scrs.gc.ca/eng/miscdocs/tabintre.html). Yonah Alexander, "Will Terrorists Use Chemical Weapons?" JINSA Security Affairs (June-July 1990), p. 10; Neil C. Livingstone, The War Against Terrorism (Lexington and Toronto: Lexington Books 1982) p.113; Joseph D., Jr Douglass and Neil C. Livingstone, America the Vulnerable: The Threat of Chemical and Biological Warfare (Lexington, MA: Lexington Books, 1987), p.30; Brian M. Jenkins, "The Threat of Product Contamination" in T.V.I. Report 8:3, (1989), pp.2; Harvey J., II McGeorge, "The Deadly Mixture: Bugs, Gas, and Terrorists." NBC Defense & Technology International 1:2 (May 1986), pp. 56-61; Ariel Merari, (ed. ), On Terrorism and Combating Terrorism (Frederick, MD: University Publications of America 1985). Ron Purver, Chemical And Biological Terrorism, p.66. 8. The details concerning the incidents presented in this article are mainly based on Mickolus’ chronology of terrorism incidents, the Israeli newspapers Haaretz and Yedyiot Aharonot, a detailed article form the London Sunday Times and some other newspapers. See Edward Mickolus, Transnational Terrorism: A chronology of events, 1968-1979 (London: Aldwych Press, 1980) and Edward Mickolus, International Terrorism in the 1980s. A chronology of events (Ames: Yowa State University Press, 1989). Sunday Times, February 12, 1978. See the letter in appendix I.
 Mickolus, Transnational Terrorism, pp. 770-773. Authors’ compilation of incidents according to various sources. According to Sunday Times of February 12, 1978 the 21 cases refer to Netherlands alone. There is no indication for this case in the media which other substances were used. In Italy there was use of conservation substances – see Haaretz of February 15, 1978. Mickolus, Transnational Terrorism, pp. 776. Yedyiot Aharonot, February 14, 1978. According to the Israeli Haaretz of February 2, 1978, which reports this information, the claims were made by rival commercial elements trying to hurt the Israeli exporters. The representative of the Israeli Citrus Marketing Board in Europe (ICMB), D.P., interviewed by the authors on April 27, 2000, confirmed that this was a non-incident, only rumors about poisoning which received little publicity and never came true. The ICMB was responsible for most of the citrus exports from Israel. D.P. was in charge for all its branches in Europe and at the time of the incidents in January – February 1978 he was very close to the investigation of the various security services and the main Israeli specialist on the export process. Washington Post, February 2, 1978. He maintained that most of the injections occurred in the warehouses in Europe and not in the shops. In fact, according to his testimony, only the oranges discovered in the two first days were genuine, all the other ones were hoaxes. The day after the publicity given to the event in Netherlands, contaminated Spanish and Moroccan oranges were found in Bremen and southern Germany. See also Haaretz, February 2, 1978. Haaretz and Yedyiot Aharonot, February 2, 1978. Sunday Times, February12 , 1978. Haaretz, February 2, 1978. It is of note that a newspaper in Hanover, West Germany, received a letter signed by RAF, ETA, IRA and other terrorist organizations in Europe accusing the CIA and the West German intelligence services to have built up this operation in order to hurt the Palestinian interests. Interview with the ICMB representative in Europe. Yedyiot Aharonot, February 2, 1978. See the report in Washington Post, February 2, 1978. In fact, this attack was perpetrated by the then still not much known Fatah – Revolutionary Command organization, headed by Sabri al-Banna (Abu Nidal) under the cover name “Black June.” The Abu Nidal organization used also the cover names Revolutionary Arab Brigades and Revolutionary Arab Organization but never ARA. The authors consulted the main publications of the radical Palestinian organizations for the months of February and March 1978 and found no trace or even a hint to the poisoning of Israeli oranges. (Al-Hadaf of the PFLP, Ila al-Amam of the PFLP – General Command and Al-Hourriah of the Democratic Popular Front for the Liberation of Palestine (Nayef Hawtmeh’s organization). It is, however, possible that the various Palestinian organizations were aware of the very negative reaction of the European public, media and governments and did not want to take responsibility of the case. It should be noted also that part of the growers of oranges in Israel and the workers in the plantations and warehouses were Arabs, directly affected by the drop in the orange sale, and no organization might have wanted to alienate them. There are, furthermore, no indications of a Palestinian terror interest in perpetrating international terrorist attacks against Israeli targets during this period: between October 1976 to October 1977, the month of Egypt’s president Anwar Sadat visit to Jerusalem, the only Palestinian organization active in international terror was the Fatah – General Command (Abu Nidal) organization, with a total of seven attacks against Syrian and Jordanian targets. The Wadi‘ Haddad faction, which split from the PFLP (somewhere between 1974 and 1976) carried out only one operation, the hijacking of a plane belonging to the German Lufthansa company to Mogadishu in October 1977. And the period after Saadat’s visit was marked by a most intense intra-Arab struggle, including clashes between moderate and extremist Palestinians. It thus appears that the logic of Palestinian military action of 1978 hardly supports the poisoning of Israeli oranges in northern Europe. The German Police Office in Berlin (BKA), consulted by us in writing replied in June 2000 that their organization does not have any papers on this event. The BKA office provided also the 1978 Report of the West German Security Service (Betrifft: Verfassungsschutz – 1978), an open annual report. However, the Report of the West German Security Service does not mention at all the poisoning of oranges, which is astonishing in view of the fact that this has been a very publicized and worrysome affair for the German public and authorities. A written approach to the Hessisches Landeskriminalamt (the BKA branch in the Land of Hessen) has been replied on September 20, 2000. According to the Police of Hessen they have a file concerning the affair of the poisoning of oranges (ZK-Nr. 20725/78-FK) and a file of the Attorney’s office in Frankfurt am Main (10824/78). According to these files, between January 31 and February 9, 1978 there were 11 suspected cases of poisoning with mercury in the land of Hessen. More cases were registered in other lander of West Germany. However, neither the authors of the poisonings nor the ARA organization and the authors of the letters taking responsibility in its name have been discovered by the authorities. The Hessen BKA branch has checked the matter with the Central Office of the BKA in Meckenheim and was answered that neither they have more information on the subject and that the files involving this affair have been distroyed, according to the German law of limitation. Two Israeli ex-intelligence officers involved in investigating the orange poisoning, told the authors that they hardly remembered the case, besides the very unique modus-operandi used on this occasion . They were inteviewed under condition of anonimity in April 2000. Thus, for example, the RZ apologized for the assassination of Heinz-Herbert Karry, the Economics minister of the state of Hesse, on 11 May 1981. The RZ published a letter claiming that they only intended to cripple him. See Jillian Becker,Terrorism in West Germany. The Struggle for What? (London: Institute for the Study of Terrorism 1988), p.14. An interesting addendum to this conclusion may be found in the recollections of the representative of the Israeli Citrus Export Board in Europe, who was very close to the investigation. According to his memory, the whole operation was an initiative of a southern German radical group close to the Palestinians. He was not aware of the group’s name and exact ideology but remembered that the German security authorities monitored its members. He even claims to have been warned in advance about the group’s intentions. Sunday Times, February 13, 1978. This section is based on the summary account “Grapefruit Poison Scare in Italy April-May 1988’” submitted on June 7, 1988 by the Israel Citrus Marketing Board to Israel’s Foreign Trade Risks Insurance Company. The eight page mimeograph (later to be referred to as GPS June 7, 1988) provides the most reliable and balanced account of the events. It is, however, supplemented by several journalistic accounts from the international press. See also Los Angeles Times, April 26 and 29, 1988; Brian Jenkins, The Threat of Product Contamination, (T.V.I. Report 8:3, 1989) p. 2. Ibid, pp. 4-5. The Los Angeles Times reported on April 26, 1988, that the poison was a bluish substance, “so powerful that it immediately killed laboratory mice,” and that a poster found on the outside of the supermarket urged a boycott of Israeli products. GPS, June 7, 1988, p.5. Financial Times, April 28, 1988; Los Angeles Times, April 29, 1988. Ibid,; Brian Jenkins, The Threat of Product Contamination (T.V.I. Report 8:3, 1989) p.2. GPS, June 7, 1988, pp.6-8. The information on this case was obtained from Israel’s Army Military Prosecution Files P/A 289/79; 290/79. This information is based on an interview (July 3, 2000) with N.T, a former senior Israeli Intelligence Officer involved in the case, who agreed to talk to the authors on the basis of anonymity. Ibid. We have been unable to verify from other sources the actual presence (or absence) of contaminated oranges. The case was never mentioned in the Israeli press. Interview with N.T. July 3, 2000. The source of Abu Sita’s poisoning idea, or a possible instruction he might have had received from his operators has not been established. Edward Mickolus, International Terrorism in the 1980s. A chronology of events. (Ames: Yowa State University Press, 1989), p. 825. All the information contained in this section is based on the interview with N.T., who surveyed for the authors the relevant files. “Terrorist Decision Making,” George Washington University Research Project directed by Jerrold Post and Ehud Sprinzak, in processing. All terrorists granted interviews on the condition of anonymity. Interview with S.A.B, November 11, 1999. N.T. who has had a 25-year experience in monitoring and fighting Palestinian terrorism says he had never encountered any serious top echelon talk on the subject. Interview, July 3, 2000. On February 21, 1978, the Swissair flight from Zurich to Lod airport in Israel exploded in air. 38 passangers and 9 crew perished The same day a barometer bomb exploded on Austrian Airlines flight from Frankfurt to Vienna with 38 people on board, but the plane landed safely. The PFLP – General Command was responsible for these attacks. See Mickolus, Transnational Terrorism: A chronology of events, 1968-1979 (London: Aldwych Press, 1980), pp. 159-160. On August 11, 1982 an explosive device went off under the passenger seat of Toro Ozawa, 16, who was flying on a Pan American World Airways B‑747 with 284 others from Tokyo to Honolulu. The blast killed him, wounded 16 others, and blew a 12" X 36" hole in the passenger cabin's floor. On August 25, 1982 a book‑sized bomb was found under a seat on board a Pan Am flight from Miami. Police noted its apparent similarity to a bomb that exploded under a seat on a Pan Am jet from Japan earlier in the month. On April 2, 1986 a bomb exploded in seat 10-F of TWA flight 840, enroute from Rome to Athens with 114 passengers and 7 crew. Four passengers were sucked out from the plane, which finally landed safely. On May 30, 1988, Greece arrested Mohammed Rashid, 34, who entered Greece on a forged Syrian passport. On June 13, 1988, the US State Department requested that Greece extradite Rashid in connection with charges stemming from the explosion on board Pan Am flight 830. Rashid was also suspected of having played a role in planting a bomb on a TWA flight from Rome to Athens in April 1986 which resulted in the deaths of 4 Americans. The two August 1982 bomb attacks were perpetrated by the 15 May faction, a split group from the PFLP. The TWA attack was attributed to the Fatah Special Operations Group's intelligence and security apparat, headed by Abdullah Abd al-Hamid Labib, alias Colonel Hawari. He reportedly had used Palestinian terrorists who previously belonged to the May 15 Organization. See Edward Mickolus, International Terrorism in the 1980s. A chronology of events (Ames: Yowa State University Press, 1989). On 3 June 1998 the United States Justice Department announced that Mohammed Rashid, former member of the 15 May Faction would stand trial before an American court for terrorist acts against American passenger planes in the 1980's, after his extradition from Greece. The 15 May Faction specialized in the use of sophisticated suitcase bombs and plastic explosives, and focused on American and Israeli targets, and in particular attacks on American and Israeli airliners in the years 1982-83. See Yoram Schweitzer, The Arrest of Mohammed Rashid - Another Point for the Americans, ICT website, June 7, 1998, https://www.ict.org.il/Article/1622/The-Arrest-of-Mohammed-Rashid. Bruce Hoffman, “Terrorism and Weapons of Mass Destruction: An Analysis of Trends and Motivations,” (Rand , Santa Monica, Ca, 1999), pp.44-45. Tel Aviv Yedi'ot Aharonot, June 18, 1999. London Al-Sharq al-Awsat, “Hamas Denies Intention to Poison Israeli Water Sources,” June 22, 1999. Al-Manar (PA), August 13, 2001, cited in “A Palestinian Information Center: There Is Serious Thinking about Obtaining Biological Weapons,” The Middle East Media Research Institute (MEMRI), Special Dispatch-PA, No. 255, August 14, 2001. The Palestinian scheme was probably based on the analysis of the Israeli media during the grave incident of pollution of the National Water Carrier at the beginning of July 2001, which affected areas of Greater Tel Aviv-Jaffa area. This was the worst case of pollution discovered in the drinking supply since the late 1980s and the Health Ministry ordered residents of the Gush Dan region to refrain from drinking tap water during 24 hours. Nobody was sick or poisoned by the polluted water. Finally it was discovered that the public Mekorot Water Company was to be blamed for the ammonia water panic. The details of this incident were revealed in an indictment submitted to the military court at the Erez Checkpoint. See Steve Weizman, “Hamas Applauds Use of Poison in Bombs,” The Associated Press, December 12, 2001. Amos Harel, “Military court hears how Hamas pursued chemical, biological terror,” Haaretz, January 1, 2003. Dan Williams, “Israel bristles at poison tips on Hamas Web site,” Reuters, January 3, 2003. This is the exact transcription of the letter received by Reuters, on 31 January 1978. It must be assumed that the text received by the European authorities is analogous. This appendix is based on the list compiled in Ron Purver, Chemical And Biological Terrorism, pp.59-68. 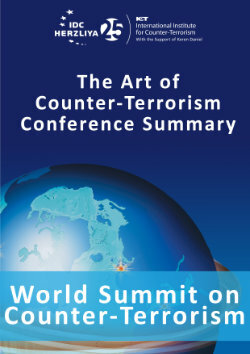 Anthony Kellett, Contemporary International Terrorism and Its Impact on Canada. (Ottawa: Department of National Defence, Operational Research and Analysis Establishment February 1988), Report No. R100, , p57. Neil Livingstone, The War Against Terrorism, p.113; Douglass and Livingstone, America the Vulnerable, p.30. United Press International, December 16, 1984 and Reuters, December 21, 1984. Brian Jenkins “The Threat of Product Contamination,” p. 2. Anthony Kellett, Contemporary International Terrorism and Its Impact on Canada, p.57. Brian M. Jenkins, “The Threat of Product Contamination,” p. 2.